Publicity still from Tideland courtesy of Capri Releasing. Based on Mitch Cullin’s highly acclaimed cult classic of the same name, this Canada/U.K. 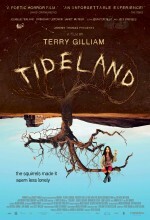 production of Tideland was shot in Saskatchewan against the backdrop of what passes for Canada’s version of Big Sky country. While the story has been compared to such traditional child fantasy stories as The Wizard of Oz, or Alice in Wonderland, this isn’t Oz nor is it Wonderland. The unusual genius of Terry Gilliam crafts a story that is delirious and hallucinatory. It is the story of a young girl named Jeliza-Rose. Following the death of her mother from a drug overdose she is shipped off to her grandparents’ farm. As Jeliza-Rose drifts from the harsh reality of her childhood, she creates a fantasy world to rival Oz, Wonderland, and all others. In this new world, fireflies have names, bog-men awaken at dusk, monster sharks swim down railroad tracks, and disembodied Barbie heads share in her adventures. 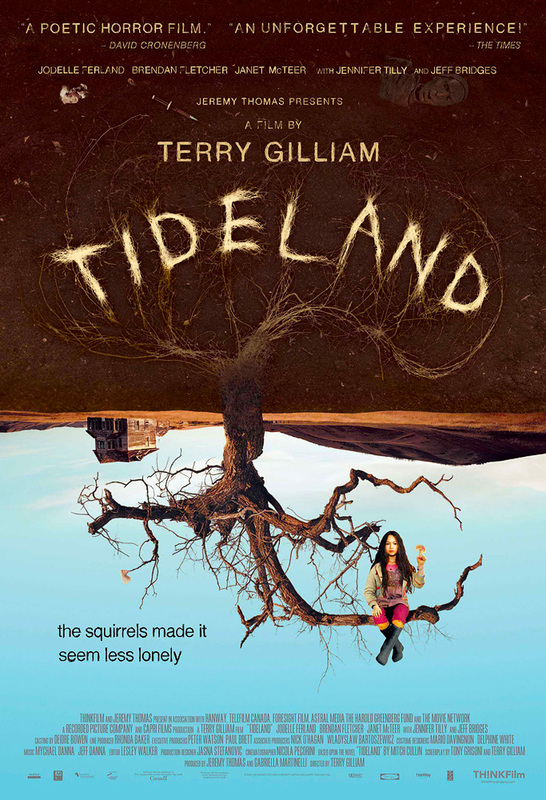 It is a world that is extraordinary, suspenseful and surreal.Tideland had its world premier at the 2005 Toronto International Film Festival where it produced a mystified, outraged, and split reaction from both viewers and critics.